The GROM 10-foot MiniDin Extension cable is a cable for extending the distance your car stereo adapter can be from its connected device. It is designed to be used with GROM-USB2 and GROM-IPD3 (AUX) adapters. 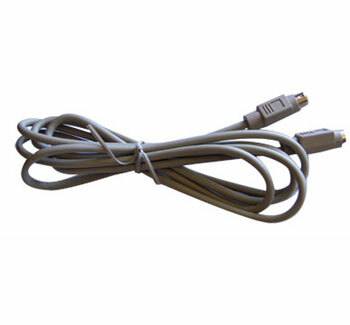 Measuring 10-feet in length, this extension cable is black in color and features male / female mini-DIN connectors. Specially designed for those of you who wants to utilize the trunk connection and extend the cables into the car salon, buy can be used by anyone who need to get the longer cables. It is not recommended to use this cable with iPhone, iPod Touch.